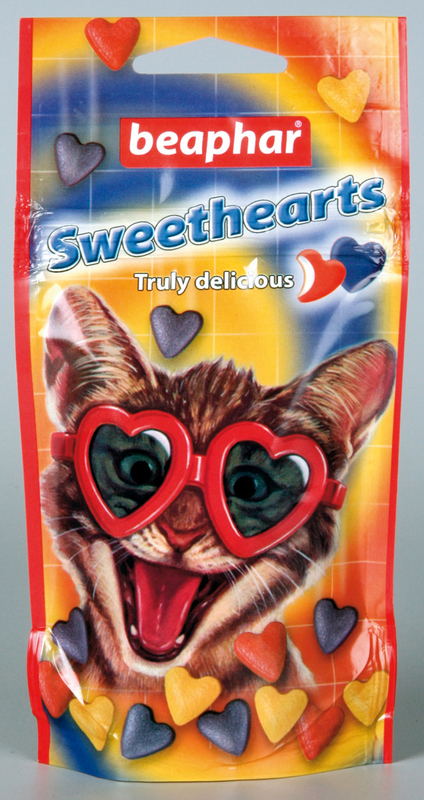 Beaphar Sweethearts are brightly coloured little cat treats which are pressed into cute little heart shapes. Created out of a secret Beaphar recipe, these treats will be loved by your cat. Milk and Milk Derivatives, Various Sugars, Meat and Animal Derivatives, Molluscs and Crustaceans, Minerals,Yeast, Oils and Fats. There are currently no questions for Beaphar Sweethearts Cat Treats - be the first to ask one!